Pop the roughly chopped mango into a food processor and blitz to a puree, if it becomes very thick you can add a small amount of the Proseco to loosen it up a little. Take a sieve with a bowl that will fit comfortably under it and use a spoon to push the pureed mango through the sieve to remove any fibrous pieces (you can discard the fibrous pieces). Cover the bowl with cling film and allow to chill in the freezer. 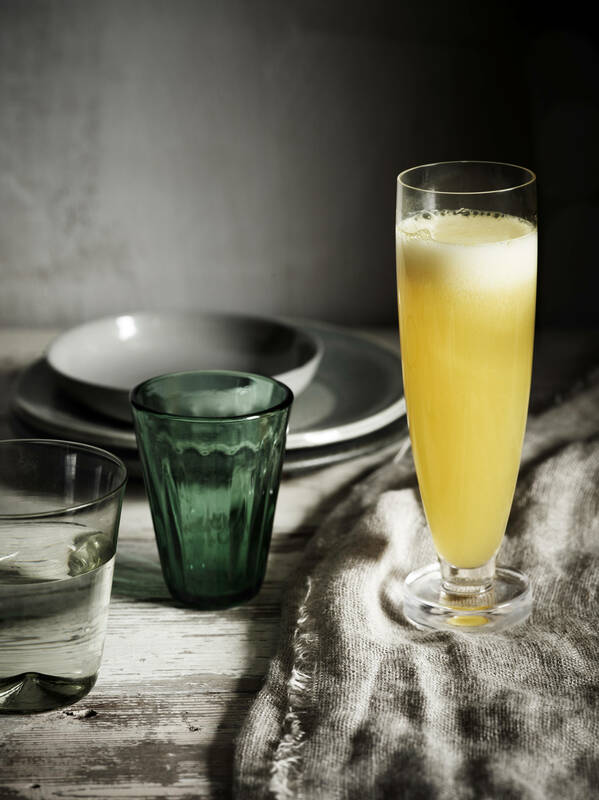 Once the mango is very cold but not frozen take approximately 3⁄4 cup of the puree and place it into a jug, slowly add the Proseco while stirring to combine. Serve immediately in chilled champagne glasses.